Brendan and I agreed that we knew one thing about Plum Borough: It's high school football team wears purple. But what were they? We couldn't think of anything that was purple so I looked it up. The Mustangs, obviously. What else would be purple? 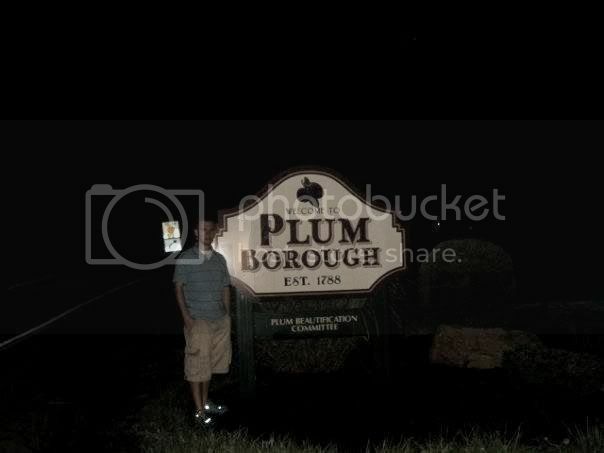 Plum used to be an old farming and coal mining town. It is named after Plum Creek. Other than that, Plum plays host to one of the most confusing signs ever, which can be seen below. 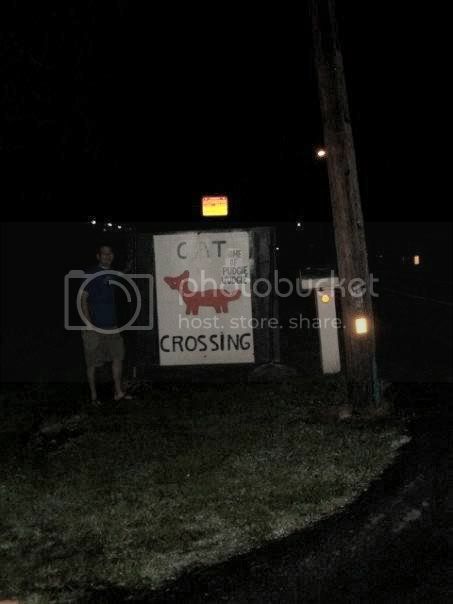 Apparently a cat named pudgie wudgie frequently crosses here. Be careful. I don't think we saw pudgie wudgie, but we did see some sort of super-rat, weasel, or a skunk without a tail. We couldn't figure out what it was but it was the ugliest marsupial this side of the Allegheny. If you are ever in Plum, watch out for weird animals.